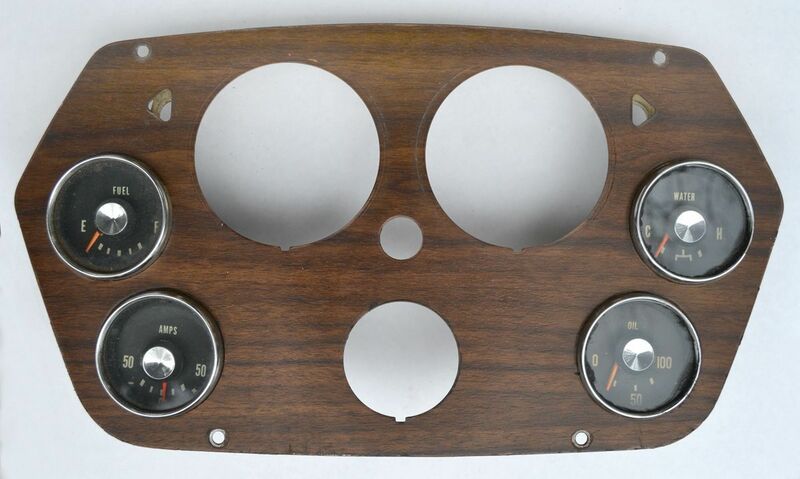 Dodge Power Giant tach dash and heavy duty gauges. Real oil pressure and amp gauges with water temp and fuel gauges. Not tested. Speedo and tach hole dia. 3-3/8". Note: Stock Speedo hole was larger in Power Giant trucks 59-60. I also have a Power Giant stock dash and 300/500 model number plates fs.